Are You Looking to Start Generating Actual SALES on Periscope? Want to use Periscope to sell your products and services? Still struggling to get followers? Want to do both, fast and easily? You're probably spending time on periscope, trying to share your message - yet no one is taking you up on it and pulling out their wallet. 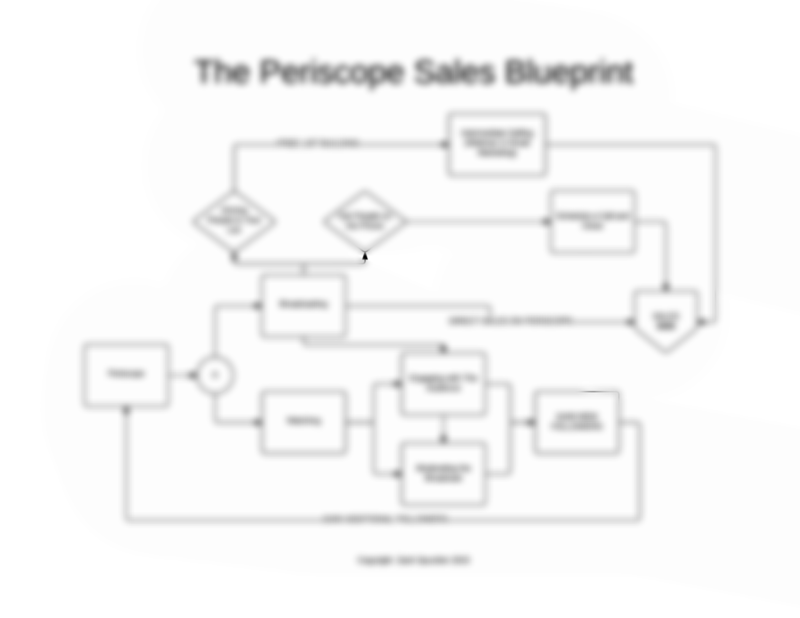 Lots of the "gurus" are making money on Periscope because they know the sales blueprint. You just didn't have access to this - until now. You can literally sell your products whenever you want - without having to think. Think about how amazing you'll feel when you can it "Start Broadcast" and know you'll end it with new sales and followers. How Do I Know The Blueprint Works? My name is Zach Spuckler - I've used this exact system to generate over $10,000 in Sales on Periscope in my first 30 days. I didn't have a huge following either - in fact my Twitter had less than 25 people when I started on Periscope. I did this by following the Periscope Sales Blueprint to acquire new followers, new leads, and new sales - every single day. Show you The Exact Steps you need to take to start growing a following of people that are hungry to buy the products and services you sell. Ensure that Selling is Simple and is as easy as following a flow chart and choose what you want to sell today. Normally the Periscope Sales Blueprint sells for $47, but because you just joined the Heart, Soul & Hustle Family you get access for just $7. the entire training and blueprint is your for just $7. It's my way of saying thanks for becoming a subscriber. You have a full 14 Days to watch and test out the training. If you don't think it was worth EVERY penny - just let me know and I'll personally get you a 100% refund on your purchase. Get the value, or pay nothing - that's fair right? No hassle, back and forth, just drop me an email, and I'll issue a refund. Let's be honest, learning a new platform takes time. I've spent years studying social media - that's why I was able to succeed to quickly on periscope. Take this opportunity to apply my years of sales and social media research - in just ONE HOUR. Get it right the first time and start generating sales with Periscope faster than you thought possible. But remember - this offer is only for new subscribers, so don't wait. Get your Periscope Sales Blueprint for just $7. Or you can learn sales tactics that work and start selling right away. Normally $47...Today just $7 (Save 85%). P.S. As a new Subscriber you get the Periscope Sales Blueprint for just $7 and get access to the entire training that can help you start generating real income on Periscope FAST! No thanks, just send me my Hot Topics Scope Workbook - I don't want to learn the art of Periscope Sales.